The black beech is an evergreen tree that grows to about 25m tall, with a trunk about one metre through. When young, its bark is pale and smooth, but it becomes rough, furrowed, and black with age. It is often covered with moss and a black velvety mould. A nïkau palm usually grows about 10 to 15m tall. It is easy to recognise in the bush with its circular trunk, which is ringed with evenly spaced scars from fallen leaves. The fronds are up to 3m in length. The cabbage tree grows up to 20m tall and has a stout trunk. Its sword-like leaves, which are clustered at the tips of the branches, can be up to 1m long. With its tall, straight trunk and dense, rounded heads, it is a characteristic feature of the New Zealand landscape. Its fruit is a favourite food source for the New Zealand pigeon and other native birds. 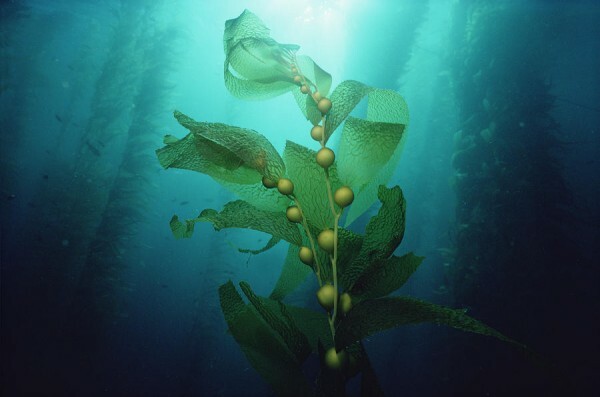 Giant kelp may grow to 20m in length, with long slender stems reaching the surface where they are buoyed by elongated, pear-shaped air bladders. Mature blades have a pronounced, corrugated surface, while fertile leaves are smoother and lack bladders. The alga is a golden brown colour and can grow up to 30cm per day when conditions are favourable. Bull kelp is one of the larger seaweeds, able to exceed 10m in length and weigh more than 75kg (wet weight). 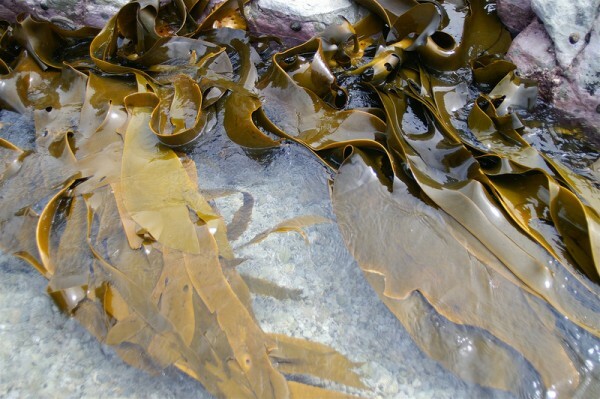 Commonly known in Australia as bull kelp (a name used for several large kelp species in different parts of the world), this brown algae has a robust, flat thallus that arises from a large, strong holdfast. Leathery fronds are divided laterally along the length of the stipe into long, wide leafy blades. Durvillaea potatorum makes a very productive crop. It is long lived, exceeding 14 years, and can grow at a rate of 10 to 14cm a day during summer months. This red alga can form dense beds of plants up to 15cm in height. Plants have one or more leafy blades arising from a wiry base. Blades have a midrib and lobes that are marginal or from the midrib. The holdfast is a small disc and the alga is generally dark brown to crimson colour.